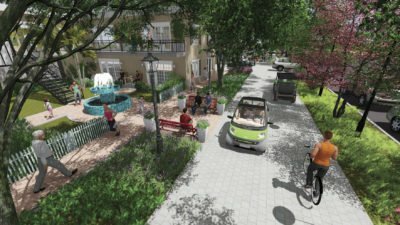 Metro Development Group engaged the Canin team to help them envision the planning goals for the new Connected City Development. 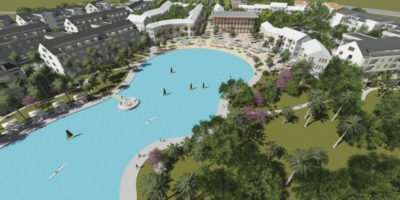 The project included a Crystal Lagoon at its center and as a driver for setting the overall character for the town center. Around the town center there will be a mixed use area with public facilities serving the overall community. The team used graphic software to help create the overall setting and then facilitate discussions on the character of the built environment. Specific design tasks included the interface of the Crystal Lagoon with the shore line amenities and an interconnected “multi-modal” system of pathways for electric vehicles.